​​​​​​​​Is Methylene Chloride Decaffeination Safe? 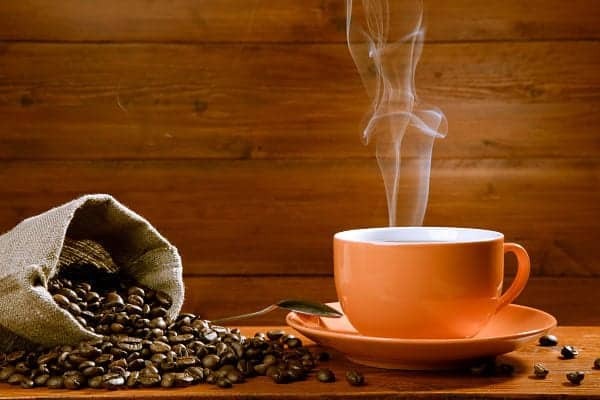 How to Decaffeinate Coffee Yourself? Coffee is a well-loved beverage and known for its caffeine content. Many people nowadays prefer drinking coffee that has undergone decaffeination process. 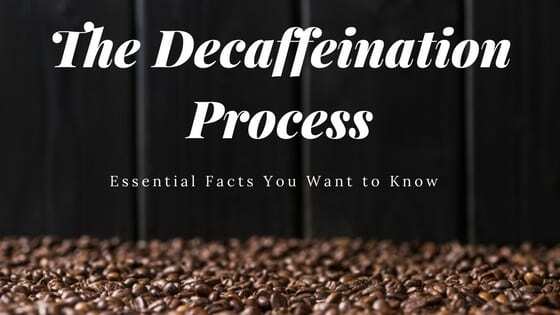 In this post we are going to unveil all there is to know about the decaffeination process so you can be more aware when you have a decaf. People often perceive that a decaf coffee also meant "no caffeine at all". But when a coffee passed through the decaffeination process, it doesn't necessarily mean it's caffeine free. According to the European Union Law, a decaffeinated coffee should only have up to .3% caffeine content. That is the legal and accepted caffeine content before a product can be classified or labeled as "decaf". So, it is often not correct to associate the term "caffeine-free" to decaffeinated coffee. Ludwig Roselius, a German coffee merchant, invented and patented the decaffeination process in the early 1900s. There were actually 2 versions of why or how he came up with the "decaffeination" idea. First, legends say that Roselius believed that his father died because of drinking too much coffee. And this motivated him to find a way to remove this kind of risk when drinking coffee. While the other belief said that Ludwig Roselius accidentally found his chest containing coffee beans soaked in sea water. He then removed the seawater and dried the coffee beans. After that, he found out that after drinking the coffee, it still has the same taste minus the buzz feeling. Whichever story is true, one thing is for sure, Roselius came up with the first ever patented decaffeination process called "The Roselius Process". In the Roselius Process, it rinses the coffee beans with a Brine solution (water and salt) and Benzene. However, this process is no longer allowed because benzene is a declared carcinogen substance. Today, there are already four ways to decaffeinate the unroasted coffee beans without using Benzene. Though there are four different ways to decaffeinate, these processes also have similarities. All these decaffeination processes happen while the coffee beans are still green and unroasted. And just like the Roselius Process, these processes also use water to decaffeinate the beans. But water alone is not sufficient because it takes away not just the caffeine but also the flavors, micronutrients, and other water-soluble components of the coffee beans. To be able to limit extracting other vital compounds in the coffee beans, these processes use a decaffeinating agent. The first step in a Direct Solvent-Based is to steam the unroasted coffee beans for about 30 minutes to be able to draw the caffeine into the outside surface. After steaming the coffee beans, it will now be soaked in either methylene chloride or ethyl acetate. Methylene Chloride (dichloromethane) is a volatile, colorless liquid, with low toxicity, high solvency power, and non-flammability chlorinated solvent. Similarly, Ethyl Acetate (Ethyl Acetate Method) is also a colorless liquid with a sweet scent. This solvent is used in nail polish removers, glue, paint, confections, cigarettes, and perfume. The process of soaking the coffee beans to the solvent lasts up to 10 hours. After that, the water with methylene chloride or ethyl acetate will be discarded. Others also prefer to sell the extracted caffeine to medicine or cosmetic companies. The beans will undergo steaming again. This vaporization process will eliminate the remaining Methylene Chloride or Ethyl Acetate on the unroasted coffee beans. It is also believed that this type of decaffeination process produces great tasting decaf coffees. Because the methylene chloride is a selective solvent, and only removes caffeine from the beans. Aside from the unaltered taste, this method is also low cost. The most commonly used solvent in the Direct Solvent Based Decaffeination Method is the Methylene Chloride. Also called "Dicholomethane Decaffeination". But some coffee drinkers perceived this chemical (methylene chloride) to be harmful. According to European Chlorinated Solvent Association (ECSA), Methylene Chloride is also used as an ingredient for paint and varnish remover, metal cleaning, aerosols, and plastic processing. And these uses of methylene chloride worries decaf coffee drinkers because of its possible effect on their health. But as of April 1, 2017 FDA actually allows methylene chloride content in coffee not exceeding to 10 parts per million (0.001%). And in Europe, they allow only 2 milligrams of methylene chloride per 1 kilogram of coffee. So, based on this, consumption on this low level should not pose any harm or risk to the person. Moreover, since the roasting temperature of coffee beans is between 350 to 425 degrees Fahrenheit, and Methylene chloride vanishes between 100 to 200 degrees Fahrenheit, chances are, the amount of this solvent is very low. Well, with all this said, it is always advisable to seek for your doctor's opinion regarding the effect of Methylene Chloride on your health. Indirect Solvent Based Decaffeination Process is also known as the KVW Method (Kaffee Veredelugs Werk), or the European Method. Both the Direct and Indirect Processes use either the Methylene Chloride or the Ethyl Acetate.  But unlike with the "Direct", the "Indirect Solvent Based Decaffeination Process" does not mix the solvents directly to the coffee beans. The process starts by soaking the unroasted coffee beans to a boiling water to remove the compounds of coffee. Coffee compounds include flavors, essential oils, and micronutrients. And not just caffeine. This first step lasts up to ten hours. While we set aside the coffee beans, we will mix the water infused with all the coffee compounds with the decaffeinating agent (Methylene Chloride or Ethyl Acetate). After mixing the water and either of the solvents, we have to steam the mixture. While steaming this water and solvent mixture, both the caffeine and solvent will evaporate. And remember the coffee beans we used in the first step? We will now place the extracted green coffee beans back to the water. This process will let the coffee beans absorb the flavors, oils, aroma, micronutrients, and other compounds back. And actually, people prefer the "Indirect Solvent Based Decaffeination Process" compared to the "Direct Solvent Based Decaffeination Process. This is because the coffee beans do not come in contact with the solvent or chemicals. The most commonly used solvent for this method is the Ethyl Acetate. Also called the "Natural Decaffeination Method". Since people fear the risk of consuming chemicals and carcinogens along with their coffee, manufacturers had to find ways to decaffeinate without using solvents. Thus, Coffex S.A. came up with the "Swiss Water Method" or "Swiss Water Process". Compared to the Direct and Indirect Solvent Based Method, the Swiss Water Method is chemical-free. It uses activated charcoal to remove the caffeine from the green coffee beans. The process starts by soaking the green coffee beans to the hot water from the coast mountain of Colombia. This process prepares the coffee beans to the caffeine extraction. The hot water will remove the caffeine, flavors, oils, and micronutrients from the coffee beans. After extraction, we no longer need the first batch of beans, we can now discard it. The water now becomes GCE (Green Coffee Extract). Now that you have a Green Coffee Extract, the next process is by soaking a new batch of coffee beans to the GCE. Then, the activated charcoal filter will eliminate/ trap the caffeine from that said hot water. The activated charcoal will filter only the caffeine molecules, leaving the flavors and other coffee compounds intact. The Swiss Water Method lasts up to 10 hours. Though this decaffeination method costs more than the first two methods, this ensures a 99.9% caffeine-free coffee beans. The caffeine filtered by the activated charcoal cannot be sold to medicine or cosmetics company. Kurt Zosel is a scientist at Max Plank Institute who invented the Carbon Dioxide (CO2) method. Similar to the first three processes, the Carbon Dioxide method starts by soaking the green coffee beans to the water. This method uses an extraction vessel as high as 70 feet. Coffee beans enter on top of the vessel. The extraction vessel used can withstand the pressure applied during the decaffeination process. After preparing the beans for caffeine extraction, the carbon dioxide is added with 250 atmospheres and 200 degrees Fahrenheit. Since the carbon dioxide is a selective decaffeinating agent, it only attracts the caffeine. The coffee beans will then exit downwards after 5 hours of carbon dioxide decaffeination. And the carbon dioxide goes back to a pressurized container and made available for reuse. Other terms used to refer to this decaffeination method are: "Liquid Carbon Dioxide Method" and "Supercritical Carbon Dioxide Method". After we tackled the different types of decaffeination method, you might wonder, if there are still nutrients left in your coffee. What's the difference between a decaf vs regular coffee? According to the nutritional facts posted by www.fatsecret.com, an 8 oz. cup of decaf coffee still has some nutrients even after all the processes. So, if we compare the nutritional facts of decaf vs regular coffee, we will see a slight difference. This comparison tells that regular black coffee has more Protein and Fat. While the decaf coffee has more Carbohydrates and Potassium. Just note that these data may differ depending on the type of your decaf. Also, if you add sugar, milk, or creamer to your coffee, these nutritional data will have significant changes. The main difference between the decaf and regular coffee are caffeine content, taste, acidity, process and health benefits. First, it is obvious that the regular black coffee contains more caffeine than the decaf coffee (only .003% caffeine). Given this lower caffeine content, you may feel less stimulated after consuming a cup. Next, the taste between the two may differ, and this is the reason why some people stick with the regular ones. Since the decaf coffee undergoes processes to remove its caffeine content, some essential flavors, aroma, crema, and compound got lost along the way. This makes decaf coffee taste a bit weaker compared to regular. The third difference is the acidity between regular and decaf coffee. Regular coffee uses Arabica beans, while most decaf coffee uses Robusta beans, or Robusta mixed with Arabica. With this in mind, the decaf coffee is more acidic because the Robusta coffee bean is more acidic than Arabica. Another obvious difference is the process. Regular coffee goes through harvesting, processing (wet or dry method), drying the beans, milling, exporting, then roasting. While the first five steps are similar to the regular coffee, there's an additional decaffeination process that takes place before roasting the decaf coffee beans. Lastly, the health benefits also differ between the decaf and regular caffeinated coffee. See below for your reference. We have an article that goes in depth on the benefits of coffee if you want to know more. Decaf Coffee reduces the risk of Type 2 Diabetes. According to a research study (compilation of 28 studies), both the decaf and regular coffee reduces the risk of having Type 2 Diabetes. Coffee reduces liver enzyme. A research study suggests that drinking coffee (regular and decaf) promotes the protection of the liver by reducing the liver enzyme. High levels of liver enzymes mean that you probably have a liver disease. Coffee is good for the brain, whether decaf or regular coffee. Drinking coffee improves the cognitive function and the performance of the memory of adults. If you have a anxiety and can't give up on coffee, the decaffeinated coffee will let you enjoy your favorite cup without the side effect of caffeine. Both the regular and decaf coffee contains antioxidants, that is good for the overall health. It has Vitamin B3 and Potassium. If the coffee is decaffeinated using methylene chloride, side effects include CNS depression and gastrointestinal irritation. Decaffeinated coffee promotes the rise of the homocysteine levels, which causes heart diseases. It also increases the bad cholesterols (LDL cholesterol) in our body. The decaffeinated coffee has laxative effects, which might cause diarrhea or stomach ache. This happens because decaf triggers the Gastrointestinal Tract to produce loose stools. Another side effect is that decaf coffees disrupt the absorption of Calcium, Iron, Magnesium, and Zinc. Decaf coffee adds pressure to the eyes. It increases the risk of rheumatoid arthritis. Even the decaf coffees can make you jittery, and your body shake. The decaf coffee brands on the market still can't fit your definition of a great cup of decaf coffee and you wonder how to decaf coffee by yourself? That is not a great idea. With all the four procedures mentioned above, they all use huge and complex machines. Experts studied for a very long time to perfect the decaffeination processes of these machines. And we simply cannot imitate them by trying to put an ethyl acetate or methylene chloride with the coffee beans we have at home. It's still a lot safer and cheaper to buy the readily available decaf coffee beans and have it brewed at home. Or order a decaffeinated coffee at your favorite Coffee Shop..
Decaffeination process is slowly becoming a trend and more people become aware of it, and aside from awareness, the consumption increases, too. This process actually started early in the 1900s, thanks to the patented work of Ludwig Roselius. But his patented method called "The Roselius Process" is no longer allowed because it uses Benzene. Currently, there are four generally accepted decaffeination methods. Each of these processes has their own advantages and disadvantages. We hope we have shed some light on the insights of decaffeination. Now you should be more aware of what is behind decaf. Now it is over to you to become an adept or just taste every now and the in between your regular coffee. The information contained in this post are meant for general information and/or entertainment purposes only. For the reasons stated above, we do not recommend to use any of the methods described on your own nor the information provided in this article are meant to be a guide or encourage to try the processes. These processes require professional skills and can be dangerous when put in place by non professional trained persons. This article refers to information provided by third parties. The publication of such third-party materials does not constitute the guarantee of any information, instruction or opinion contained within the third-party material. The owner of this site will in no event be liable for any loss or damage including without limitation, direct, indirect or consequential loss or damage, or any loss or damage whatsoever arising from the use and the information provided on this website. The content of this post is not meant at all to be a substitute for professional medical advice. Remember to always check with a doctor for any medical help or advice or action regarding yourself and your health.